Attitudes toward teaching and teachers have changed in many ways over the years, and not always in the teachers’ favor, but one thing remains unchanged – we always need them. The education system may look different from one generation to the next, and even one year to the next, but when it comes down to it, there is no civilization without education, and there is no education without teachers. We are in what may be the largest and most radical shift in education since the 19th century, and anyone who claims to know for sure where education is going is probably trying to sell a book. Major demographic shifts in the American population, the largest generation since the Baby Boomers working their way through the education system, and the Internet Age have come together in a choppy political climate to raise major questions about what education is, was, and should be. Fortunately for the human race, there have always been people who cared passionately enough about education to endure every struggle and frustration to make sure the next generation is prepared for citizenship. The College Consensus exists to bring a wholesale approach to information about educational opportunities in every field – your one-stop shop for guidance about the best options for you and your future career. This handy overview gives prospective teachers and administrators the basics on education degrees, alternative and online options, and potential career paths you may not have thought of. One area of education that has proliferated most in recent years, from the elementary to post-secondary levels, is administration, and Educational Administration, Educational Leadership, and similar programs have been growing and developing quickly. Whether you want to be a Principal, Superintendent, Academic Dean, or some other education administrator, a master’s or doctoral degree is the standard. In today’s education environment, one of the most popular and in-demand majors is Media Specialist/Librarian. As digital media and tools have become central to contemporary learning, the humble librarian has become a key player in curricular development and instruction, and the proliferation of degree programs reflects this change. Another particularly attractive area for educators today is meeting the specialized needs of disabled students, including Special Education Teachers and Speech Language Pathologists. These are highly specialized positions that require a great deal of passion and commitment, but they are rewarding. Other growing areas of interest include English as a Second Language instruction, Adult Education Specialists, and other areas that cater to adult students. With a growing immigrant population, ESL certifications are showing their value on the job market, while the growing number of working adults returning to school for career changes or credentials has created an urgent need for teachers who are trained to work with adults. In both cases, demand is only expected to grow. Are There Any Online Options for Studying Education & Teaching? Online degree programs have become especially attractive for education students, particularly working teachers and other education professionals who are finding online options a handy way to earn credentials or build up a new specialization, such as ESL or Special Education. For those who are already teachers, an MEd or EdD degree can be obtained from public research universities, liberal arts colleges, and everything in between, and if you’re already licensed in your state, you have a wide range of choices. Online education degrees can be a bit trickier if you are earning a Bachelor of Education, since teaching licensure goes from state to state. The good news is, almost every state has several online options (usually from the large public universities) that are tailored to the licensing rules of that state. If you’re looking at an online education degree from an institution in another state, make sure it meets the requirements of your state as well; you wouldn’t want to waste your time with a degree that will not transfer. Online options are also increasingly common for Educational Administration and Educational Leadership degrees at the master’s and doctorate level. Again, these programs are designed for working teachers who want to move into administrative roles, and the online format makes it much easier to schedule school around the demands of your day (and, with grading and planning, night) job. Are There Complimentary Majors or Fields to Education & Teaching ? Most teachers specialize, so a major or minor that contributes to your specialization is usually a wise idea. If you plan to teach ESL, for instance, a minor or second major in a foreign language will give you a better perspective on how to teach non-native speakers. For students who are preparing for administrative careers, there are a few sound ideas for choosing a minor. Business and finance, for instance, can give you an edge when it comes to budget crises or fighting for a bigger slice of the pie for your school. While Education Administration programs will give some business background, a deeper dive has its value. The same goes for Education Law – a good program will cover the basics, but to really advocate for and protect your school, a specialization in law gives you more authority. And, while leadership programs will include some psychology courses, a minor in psychology can have a huge impact on your managerial and motivational skills. That’s definitely important when it comes to managing a school, where a stress can be high and viewpoints can be contentious. A good leader is a good peacemaker. It is possible to begin teaching at the elementary and secondary levels with a bachelor’s in education (B.Ed. or BS in Education), but because salary rates are generally higher for teachers with a master’s degree, many students are choosing to go straight from undergraduate to graduate school to obtain an M.Ed. In fact, there are a number of accelerated programs today which will allow students to earn their teaching bachelor’s and master’s at the same time in only 5 years (as opposed to the 6 or 7 years of a traditional program). Administrative positions, such as assistant principal or principal, require at least a master’s degree, but market competition has made a doctorate almost a necessity to really move into higher-level administrative positions. A doctorate is also the standard for a career as a college professor, except in certain disciplines (art, for instance, accepts the MFA as a terminal degree). For higher-order positions, such as dean, vice-president, and others, a doctorate is a necessity. 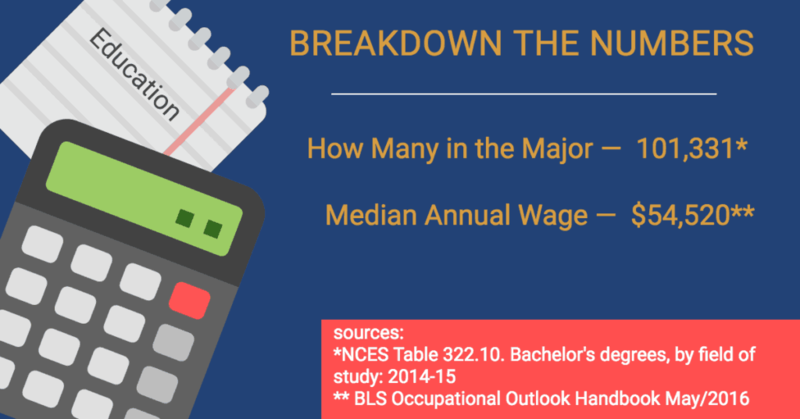 While colleges and universities will hire master’s holders as adjunct professors, pay is generally very low, without benefits or job security. 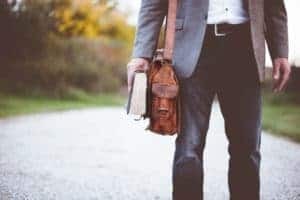 At the post-secondary level, the most obvious career path is professor; in most schools, the hierarchy runs Assistant Professor, Associate Professor, and Full Professor, but these traditional names are a little misleading – an Assistant does not assist a professor, but is actually a professor themselves. Likewise, administrators need a lot of strong interpersonal and communication skills, because they have to be able to resolve issues and disputes without alienating the teachers and staff. Administrators who cannot talk to their employees will very quickly face resentment and resistance.